China's success flows from its massive investment in research and development (R&D) - well over 2% of GDP now. Of late, it has also embraced private companies' role in defence production A recent report by Stockholm International Peace Research Institute (Sipri) notes that India's arms imports decreased by 24% between 2009-13 and 2014-18, and, as a result, it is no longer the world's largest defence importer. However, it is too early to celebrate. The reduction in arms imports has little to do with India's indigenous defence manufacturing capabilities. The most likely causes for the sharp reduction in imports include delay in, as the Sipri report notes, "deliveries of arms produced under licence from foreign suppliers, such as combat aircraft ordered from Russia in 2001 and submarines ordered from France in 2008". 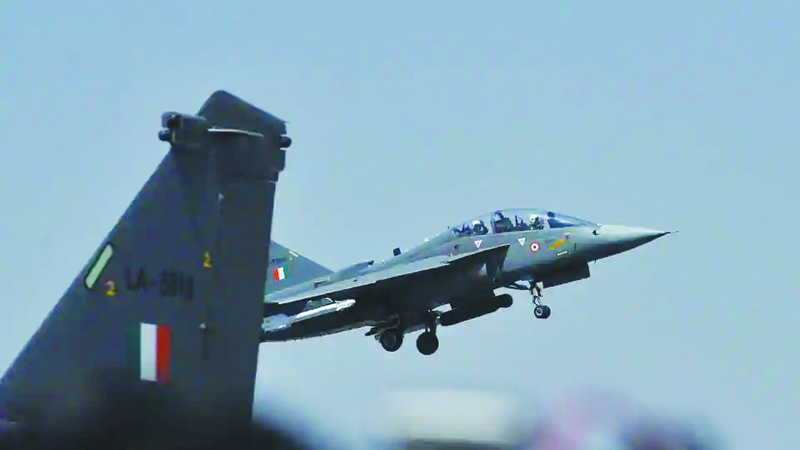 India's attempt to bolster indigenous defence manufacturing capabilities has seen several false starts. The country aims to be among the world's five top arms producer by 2025. In order to achieve this ambitious goal, we should learn from our northern neighbour, China, which has made impressive strides as a defence manufacturer and exporter. After having been an arms importer for much of its existence, Communist China is now the world's fifth largest defence exporter. It still imports a lot - China is the world's sixth largest arms importer - but it has been a net arms exporter for much of this decade. Seven Chinese state-owned enterprises (SOEs), according to International Institute of Strategic Studies (IISS), were among top 20 defence production firms in terms of arms sales in 2016. These SOEs have been helped by a captive domestic market. However, they have done well on exports too, especially when one takes into the account that some of the largest arms importers like India, South Korea, Vietnam and Australia do not buy Chinese arms for political reasons. China's success flows from its massive investment in research and development (R&D) - well over 2% of GDP now. Of late, it has also embraced private companies' role in defence production. India should quickly embark on the path to create a level playing field between defence public sector units and private companies. It should increase its budget outlays on R&D, temper its expectations on transfer of technology from foreign original equipment manufacturers (OEMs) and make the country a more attractive destination for manufacturing firms in general.